View More In Sofa Parts. Alone or in pairs, in front of a window with plants or on either side of your sofa, our end table has the rustic reclaimed look everyone is looking for. 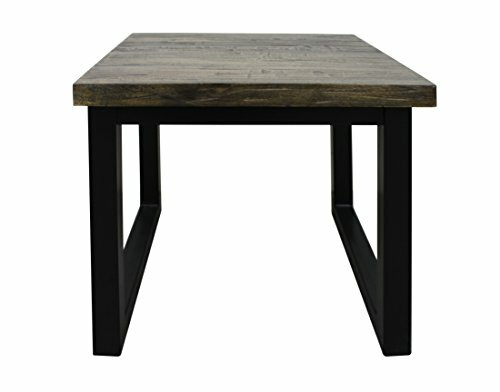 With a thick wood top finished in Cumberland Distressed Brown and dark metal legs, this is one trend that is here to stay!. If you have any questions about this product by Treasure Trove, contact us by completing and submitting the form below. If you are looking for a specif part number, please include it with your message.